We offer maintenance services to private and commercial operators, our Approved Maintenance Organization AMO 77-07 is certified for all major work including sheet metal structures. We have 4 licensed Aircraft Maintenance Engineers on Staff with over 30 years of industry experience working on a variety of different aircraft and engines. 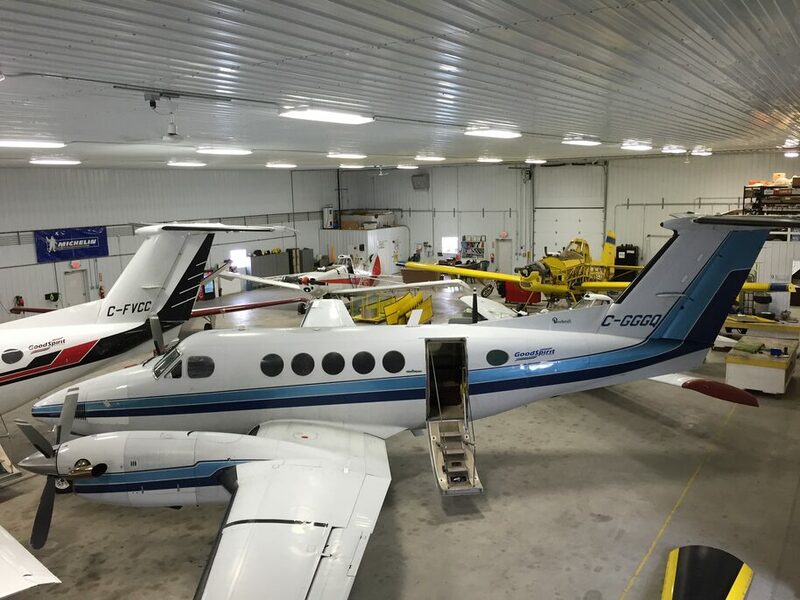 Our main maintenance facility is located in Yorkton, SK, with 10,800 sq/ft of space. The facility can accommodate aircraft with wingspans up to 70' wide and 20' high. For more information or to discuss your maintenance requirements please give us a call 1-306-786-3360 or use the Contact Us form from the menu bar at the top of the page.